Carbon fiber composites have many unique properties including extreme strength, light weight, original and prestigious design. Yet this material has many secrets – as far back as 40 years ago it was used only by military research centers and NASA. 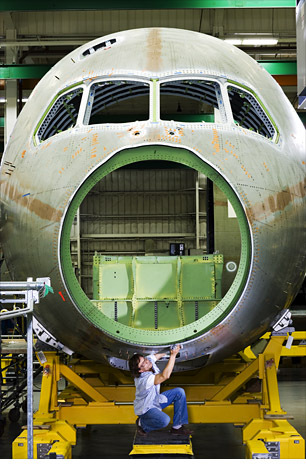 What are carbon’s fiber composite secrets? What are its properties? Why is this material so highly regarded by designers of racing cars? 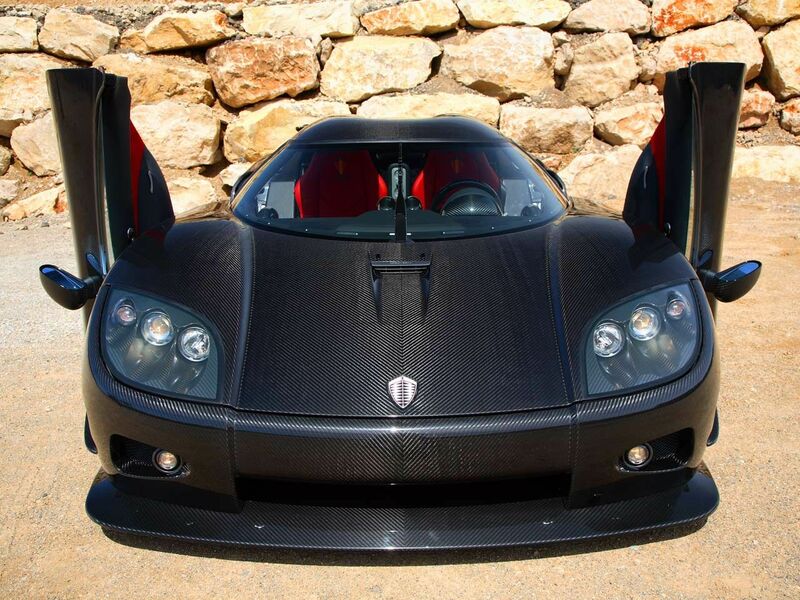 The beginnings of carbon fiber date back to 1963. At this time the carbon fiber technology was extremely costly and was reserved only for military aviation and spacecraft construction. Lightweight elements of carbon fiber gradually replaced heavy metal components, which enabled faster acceleration and higher speeds. At the end of 70s, Formula 1 teams were extremely interested in Carbon fiber composites. This material was first used by McLaren, who in 1981 constructed the MP4/1 – pioneer Formula 1 racing car made from Carbon (total weight of 585 kg/1289 lbs). Nowadays, every Formula 1 car is made from carbon fiber. McLaren was also the pioneer of using carbon fiber to manufacture motor cars for use on public roads. In 1994 McLaren unveiled a racing car named in honor of Formula 1 – McLaren F1 (not to be confused with a Formula 1 racing car). The body of this car weighed about 100 kg/220 lbs. It was the fastest motor car until 2005. Then the record established by McLaren F1 (388.5 kph/241 mph) was broken by another car made from carbon fiber composites – namely the Koenigsegg CCR. Eventually the CCXR model reached 395 kph/245 mph. Gradually, carbon became affordable for manufacturers of different composites. In time, carbon fiber was everywhere in production of racing car and motorcycle bodies, bicycle frames, skis, tennis rackets, fishing rods, yacht masts, carbon fiber sheets etc..
WHAT IS THE STRUCTURE OF CARBON FIBER COMPOSITE? The term carbon fiber most often relates to textiles made from woven fibers. Each fiber contains from 3 thousand (3k fabric) up to 12 thousand filaments (12k fabric). The thickness of carbon fiber single filament is 1/10 of human hair (0.005-0.010 mm). 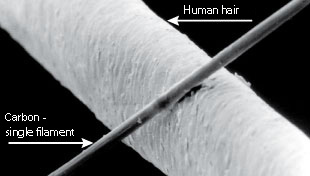 Human hair compared with carbon fiber single filament. To find out more about the complex structure of fiber and uniform filaments, watch the movie that zooms in the bicycle frame to show atoms that make up the carbon fiber. Carbon fabrics feature different weaves that determine the appearance and strength of the product, as well as the manufacturing process. One-way patterned fabric features very good strength along the filaments, and reduced strength crosswise. These fabrics provide the perfect solution when a section is exposed to pressure along one plane (along the filament). To maintain high tensile strength in any plain requires a structure composed of several fabrics at different angles (e.g. 0, +45, +90, -45) - quasi-isotropic carbon fiber composite. One-way patterned fabrics do not offer an attractive appearance, and consequently most often are used for the underside layers of composites. Twill – filaments woven at a 90 degree angle. This pattern provides uniform strength in different directions and adds an attractive appearance to the composite. Plain fabric 1/1 – product made from 1/1 fabric features different patterns of carbon filaments compared with the product made from 2/2 fabric. Plain type fabric is used for plain shapes due to poor stretchability. Unimpregnated carbon fabric is as flexible as plastic sheet. It requires resin impregnation (preferably with epoxy resin) to create a strong composite from carbon fiber. 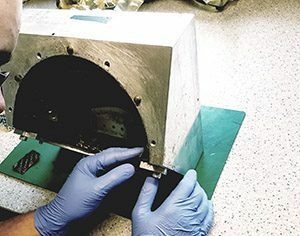 Usually the manufacturing process of carbon fiber element involves resin impregnation of fabric placed inside the mold (manually, with vacuum bag or infusion). It is assumed that the more resin is contained in the composite, the higher will be the ensuing strength. For example, a carbon composite section weighing 500g where 60% of the weight (300g) is composed of fabric and 40% (200 g) resin will demonstrate higher strength compared with a carbon composite of 500 g weight where 40% (200 g) is fabric and 60% (300 g) is resin. Pre-preg is the “top class” fabric which undergoes impregnation with resin during manufacture, along with hardener that features slow binding. Pre-pregs are stored in a refrigerator to prevent hardening. An advantage of pre-preg is a precisely defined and very beneficial ratio of fabric weight (reinforcement) and resin. 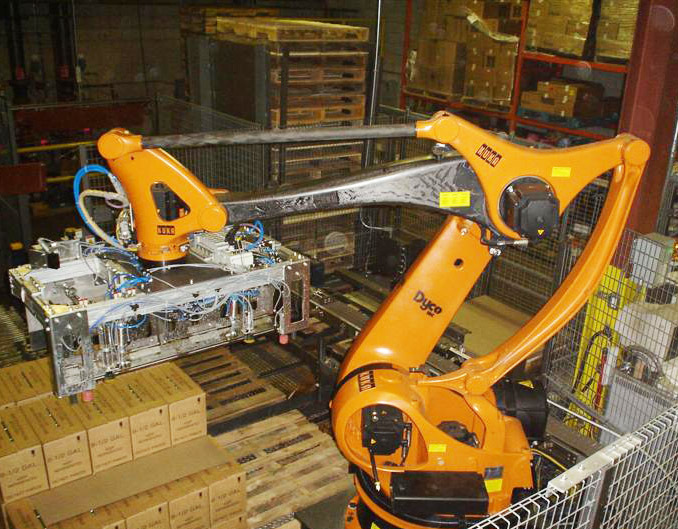 The disadvantage is the price of material and high costs of the manufacturing process. Pre-peg type carbon fiber is used, amongst other things, in F1 and other racing cars like Paggani or Koenigsegg. Carbon composite offers strength up to 5 times greater than steel (weight for weight). Carbon fiber used for manufacture of F1 and other racing cars (called “pre-pregs”) costs as much as USD $200/m2. Carbon fiber composite offers perfect conductivity. Carbon is black with a slight gloss that provides a unique pattern. Composites in any other color may be fake. 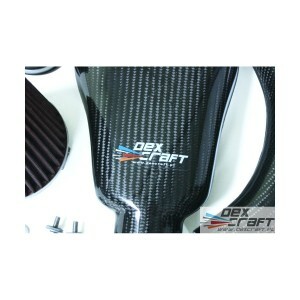 Carbon fiber is a very rigid material, with Young modulus of 240 Gpa. The higher the Young modulus, the greater the rigidity of the material. Carbon fiber of high modulus (improved strength) typically has a Young modulus of 500-1 000 GPa. By comparison, steel typically has a Young modulus of about 200 GPa. Carbon composite demonstrates low thermal expansion– it expands at high temperature and contracts at low temperature much less so than materials like steel and aluminum. Carbon is more resistant to material fatigue– elements made from carbon fiber offer more strength during heavy duty operation. Carbon, like other composites, enables you to determine the strength of any area of an element – in any direction. For example, a bicycle frame made from carbon fiber will have many layers of fabric at locations exposed to high load, whereas there will be a minimum number of layers at places that do not transfer load. Such design optimizes and reduces the weight of the composite. Carbon fiber has some weaknesses also– e.g. average impact strength. In case of elements exposed to impacts (e.g. panels under the engine of WRC cars), aramide fiber is often used (called Kevlar). We supply series of carbon fiber products. Depending on the strength required, the manufacturing process can include prepreg technology, resin infusion, vacuum bag or manual laminating. Location: Poland (Europe), Worldwide shipping.